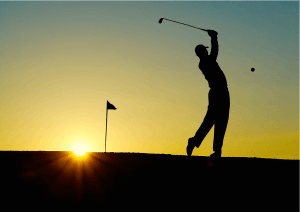 Pawn Golf Clubs and Sets for Cash in Chandler! Oro Express Chandler has been proudly providing cash to the citizens of Chandler, Queen Creek, and Gilbert and is now proudly offering pawn loans on golf clubs or entire golf sets! Golf is a hobby that can cost a few hundreds of dollars every couple of months or a few thousand dollars just for those few weekends. From individual golf clubs to entire golf sets, you can get fast cash at Oro Express Chandler for your golf clubs. The process is quick, easy, and painless, and we can almost guarantee that we’ll pay the most cash in the entire area. Let’s check out what brands of golf clubs and golf sets are good for cash. Over our decades of experience and expertise, we’ve streamlined our process to get you in and out in as little as five minutes. It all begins when you bring your golf equipment down to our Chandler pawn shop. With sporting goods items that can easily have wear and tear, it’s important that our trained associates see them in person in order to give you the most accurate quote possible. In many cases, this is why we often won’t give quotes over the phone as they simply won’t be accurate without seeing it in person. Our associate will take the items from you and inspect it for overall condition, brand, and if it’s a set to make sure that all the clubs are included. Afterwards, we’ll do a bit of research to find what the current market value of the clubs are. We’ll make you a cash offer and when you inspect, we’ll take your golf clubs back to our secured, monitored storage facility where they’ll stay for the duration of the loan. We’ll get a few signatures from you, and then we’ll put cold, hard cash right in your hand. No checks, no nonsense, no hassle! This is why Oro Express Chandler is the top Pawn Shop Chandler trusts proudly serving the areas of Gilbert and Queen Creek as well. And any other clubs you have! At Oro Express Chandler, we’re not in the business of repossessing items. A pawn loan is a form of collateral loan meaning your loan is secured through us holding your golf clubs / golf sets, but we’re happy to be flexible with our customers should they need some additional time to get on their feet. By Arizona law, each pawn loan is written out for a term of 90 days but you can come and pick up your items at any point before then with no prepayment penalty. By paying off the interest and principal balance at that point, you can get your golf clubs back and be on your merry way. Should you need additional time at the 90th day, you can simply pay off the interest and we’re happy to extend the loan for another 90 days. In Chandler, Queen Creek, or Gilbert, you can rest assured that you have options when you need cash. Come visit the best pawn shop in Chandler and get the cash you need today!